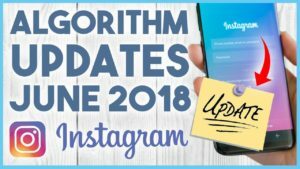 Instagram algorithm changes in 2018 haven’t gone unnoticed - despite many users openly criticizing the new Instagram algorithm, it doesn’t seem like the company is planning on bringing back a chronological feed, so now is the best time to learn how the Instagram algorithm works and how to make your Instagram photos popular. This task is no joke - it is said that only about 10 percent of your followers actually see the pictures you post, which also means that you only see about 10 percent of the content that people you follow post. If the number of likes on your photos has been down recently, use our 3 tips to turn that around! A lot of users post content to Instagram stories only when the picture or video is not good enough for a regular post, but this is a mistake. 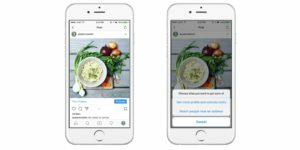 Instagram rewards users who post to stories regularly with more exposure for their regular posts, so make sure you post a story at least every few days. People who watch your stories regularly will also be much more likely to see your pictures in regular feed. Another way to bring your pictures to top posts is to use the numerous fun features of Instagram stories: set up a poll, use the “swipe up” feature or, most recently, offer your followers to ask you an Instagram story question and don’t forget to answer all of them! 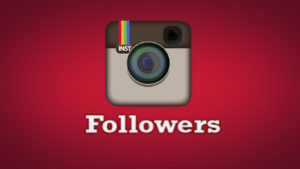 If you’re still trying to figure out how to work Instagram algorithm, try spending more time on communicating with your followers. In our experience, you posts are likely to get way more attention if read your followers’ comments - and answer them! This is especially important in the first hour after you have posted your picture or video. Even if you have nothing to say to the comment - at least like it. In the best case scenario, however, try to engage your commenter in a conversation that will last for at least a few back-and -forth comments. It’s not a secret that the success of your Instagram post depends a lot on the time you post it. Many people try aiming for the morning when everyone checks their Instagram feeds after waking up, or the evening before people go to sleep. While both of these strategies are valid, we suggest that you try posting pictures at different times throughout the day, keeping track of how much engagement you get. After all, all the audiences are different, this will help you determine the best time to post. The latest Instagram update detects how long your followers spend on looking at your posts and factor that into the post order algorithm. A great way to increase the time people spend looking at your post is to create captivating captions. That extra second people spend on reading the caption can boost your visibility by 20-30%, but you should always try to get people to press “more” to read the entire caption - it will boost your Instagram visibility even more.